Check out our ‘best of 2013′ week-by-week compilations by clicking here or on the image below. Plymouth Meeting, PA: Brian Marshall (DC Current #22) makes a leaping grab at the home opener between the Philadelphia Spinners and the DC Current, Saturday, May 3 2013. 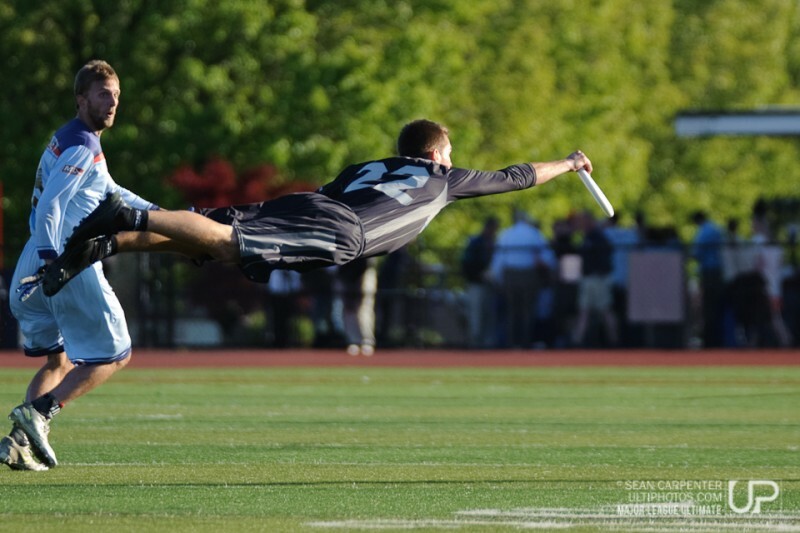 © 2013 Sean Carpenter for UltiPhotos. All rights reserved.